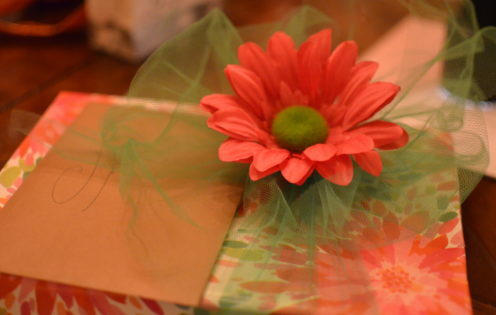 My birthday was this week. After celebrating a BIG birthday last year I’ve stopped counting the years and really wanted to have a low key celebration this time around. 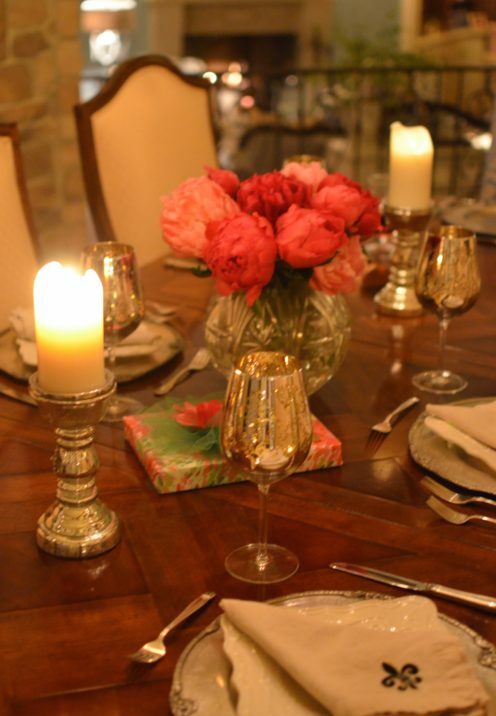 But I was delighted when 2 of my “besties” had a lovely, intimate dinner party for me. I feel so grateful to have a small group of girlfriends that I share similar values and passions with: cooking, entertaining, gardening, travel to name just a few. Girlfriends really are the spice of life and these two sure help to spice up mine. 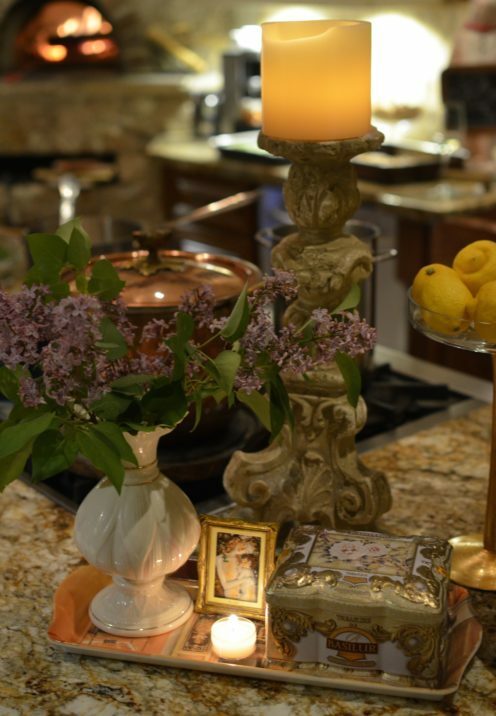 Brenda’s beautiful kitchen is the heart of her home. 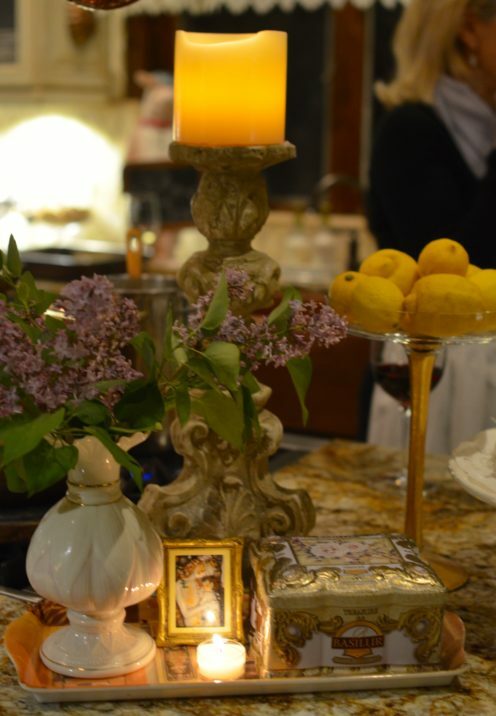 Her dinner parties always begin in this lovely setting, where she is so good at ornamenting the space with pretty little vignettes like this one. 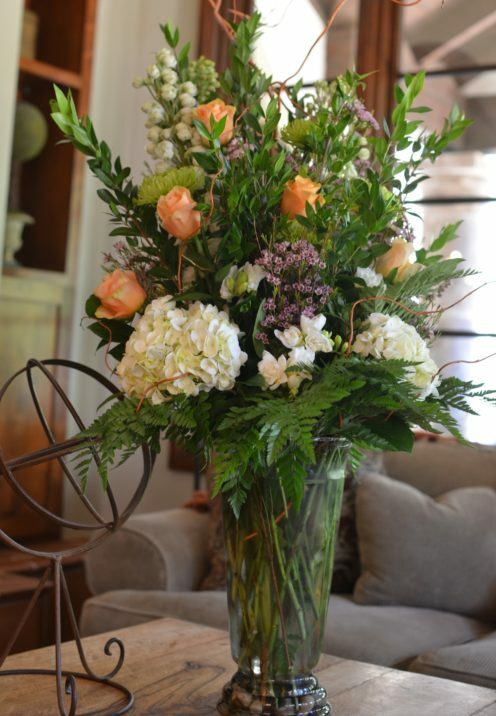 Candles flicker, fragrant violets are placed in a pretty vase, the wood fired oven warms the room, copper kettles are on the stove and all is well on our mountain. 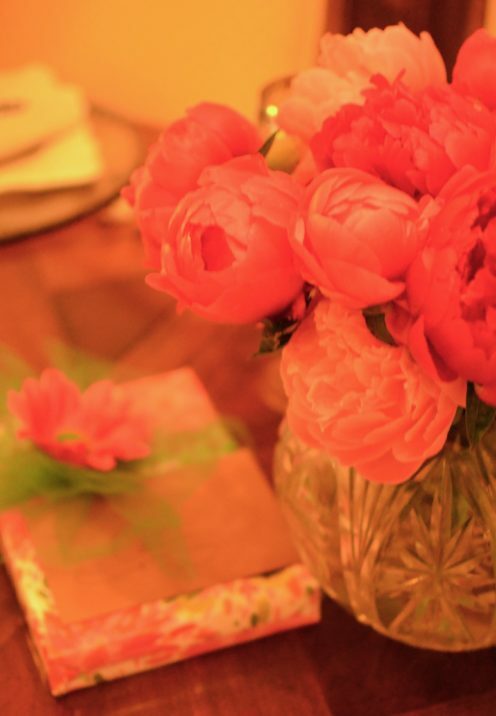 A lovely table is set with gorgeous pink peonies as the centerpiece. 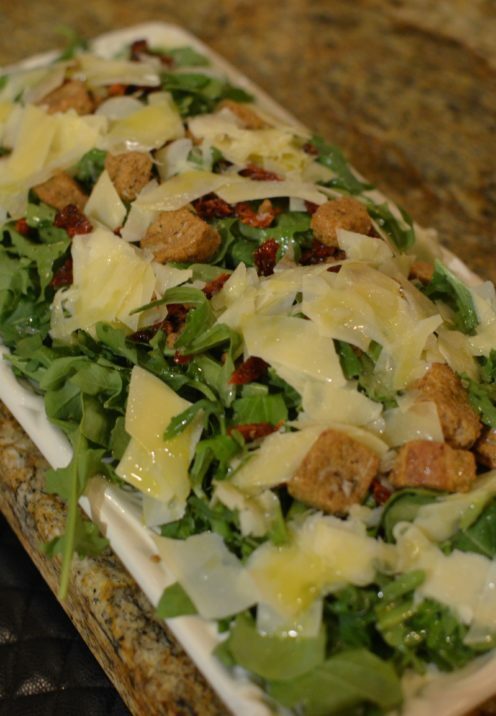 Dinner begins with a delicious salad of arugula, sun dried tomatoes and shaved parmesan. It’s dressed in fresh lemon juice and extra virgin olive oil and is a wonderful way to start our meal. 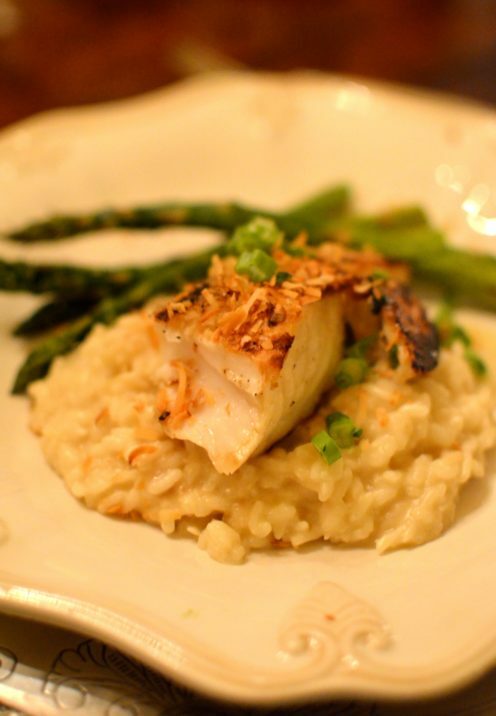 The main course is fresh halibut encrusted with toasted coconut, accompanied by a mouth watering coconut risotto. 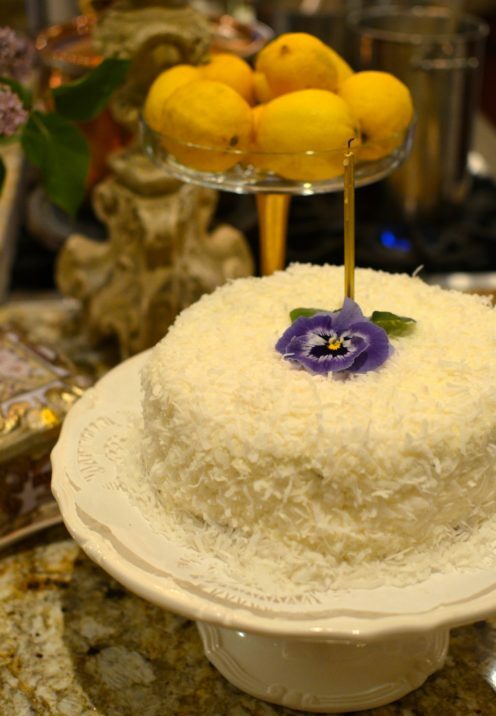 My memorable birthday meal ended with this luscious almond coconut cake. 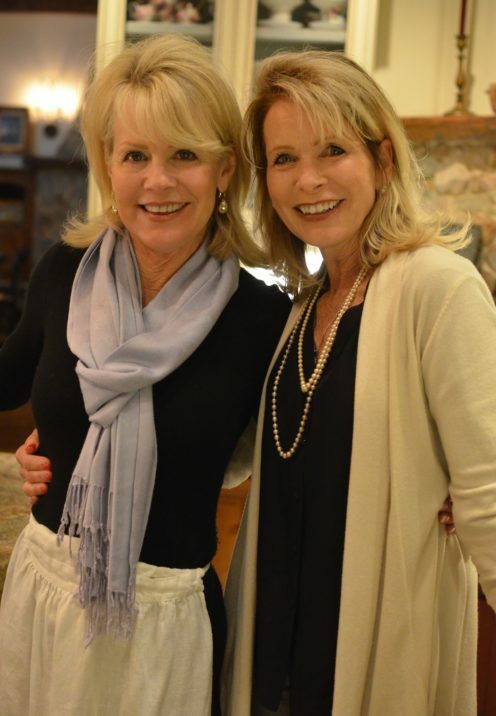 Such a beautiful evening shared with cherished friends makes growing older all worth it. And it’s a lovely reminder that my girlfriends are the spice of life.